CAPcam does neither require a synchronization with the back nor with the shutter. Any shutter, mechanically or electronic, which operates with your digital back can be used. Mechanical shutters must be armed and released manually. Synchronization to the back is usually done using the X-contact. The flash then connects to the digital back. See the back manufacturers instructions. Electronic shutters in general require a supply and control unit. Some models have their own display and keypad, others are controlled from a PC/Mac which is connected though USB. In any case, the user has to switch to the shutter control panel and trigger the release process. 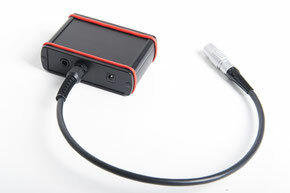 The optional CAPcam-Schneider shutter control unit simplifies cabling and integrates the release process into the CAPcam application. 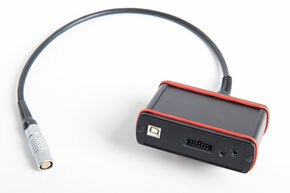 Shares USB connection and power supply with CAPcam. Wake up trigger for P1 normal latency operation (lowers power consumption and heating).